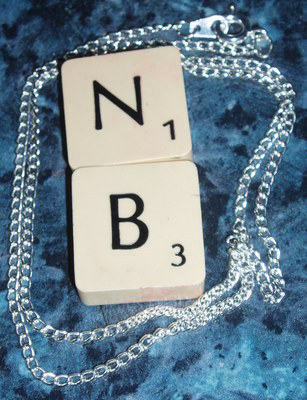 Scrabble Letter Double Tile Dangle Pendant on Silver Plated chain. Handmade from £4 depending on letters chosen. Just choose which letters you want. Scrabble Letter choice will be at the top of the dangle, with second letter choice below. Sterling silver chains also available. I recycle Scrabble Letters so you will receive a pendant made using thick round-back black letters.